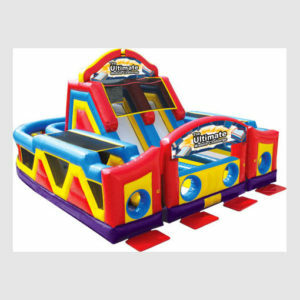 Tired of the standard jumpers, bounce houses, and jumpy castles? Maybe it’s time for something new and exciting. 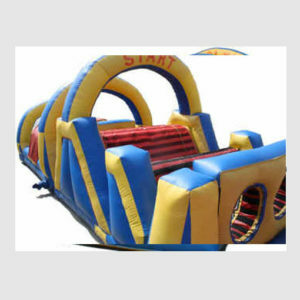 For your next birthday party or special event, consider renting an obstacle course and slides from Party Pronto, and you’ll be throwing the best party on the block! 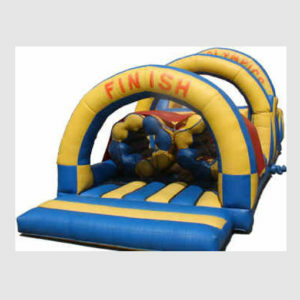 Each obstacle course includes pop-ups, tunnels and tubes, and climbing surfaces. 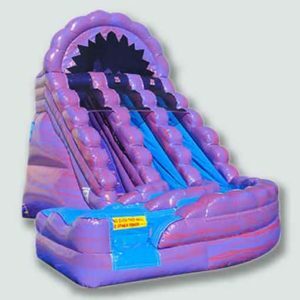 Some also come with a slide. 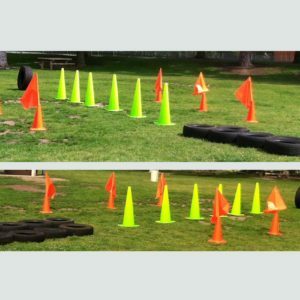 Obstacle courses are great when used as part of a team-building event, or rent one of our two-lane obstacle courses and bring out the competition. 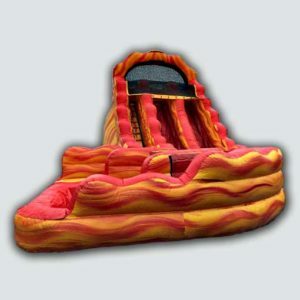 Our obstacle courses and slides can be used separately or combined to make one giant unit that’s sure to attract attention for your church, school, or community event. 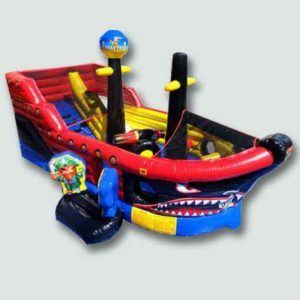 Our inflatable obstacle courses can move high volumes of people quickly, and we have a variety of sizes and configurations to accommodate your crowd. 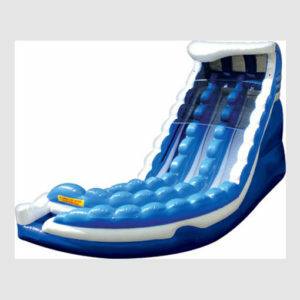 Party Pronto also offers a large selection of slides that can be used with or without water. 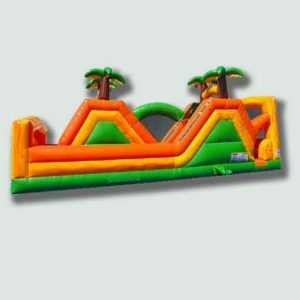 Our inflatable slides come in a variety of sizes to fit your space requirements. 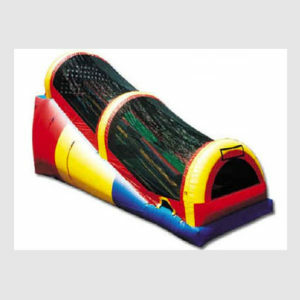 For home parties, please measure your space to be sure your obstacle course or slide will fit. 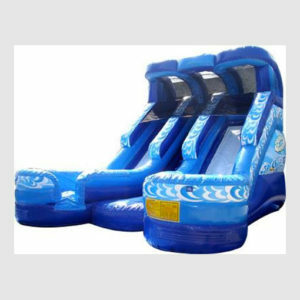 If you’re renting a wet-dry slide and plan to use it as a water slide, be sure there’s a water hook-up nearby and supply a hose. 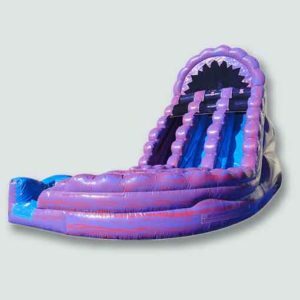 Most parks do not allow water slides, so it is important to check with your venue that your rental will be acceptable. 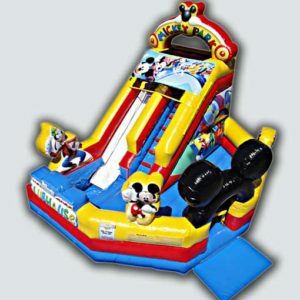 All of these inflatables require a standard 110 electrical outlet about 25 feet away or, if needed, rent a generator from us. 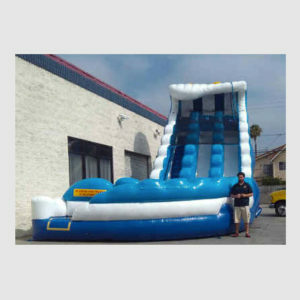 For backyard parties, our rentals are overnight. When your party is over, just turn off the blower and unplug it, and fold or roll up the jumper like a burrito—all the good stuff (netting and artwork) is tucked inside. For parks, you will be responsible for obtaining a permit if required by the city or county. 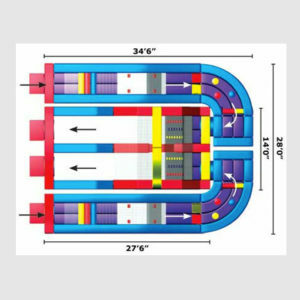 You will need to rent a generator from us to power the blower. 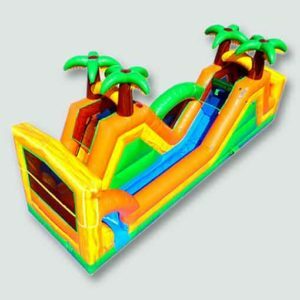 Be sure that this size of inflatable is allowed in the park, as these are big units. 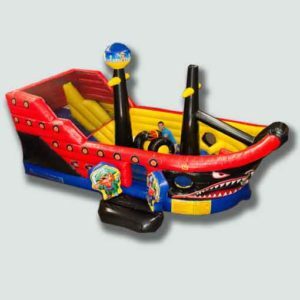 Party Pronto offers dozens of inflatable obstacle courses and slides for rent, plus all the tents, tables, and other accessories you need for a successful event. 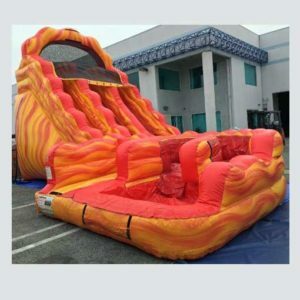 Get a quote online or call us at 626-821-0200 to schedule your rental, and you can be sure everyone leaves the party with a smile on their face!